Gillian Weaver has specialised in the field of human milk banking and breastfeeding for thirty years. She managed the longest continually operating milk bank in the world at Queen Charlotte’s and Chelsea Hospital in West London and oversaw its growth in activity and influence between 1989 and 2015. In 1996 Gillian proposed and co-founded the UK Association for Milk Banking (UKAMB – www.ukamb.org) and ten years later was instrumental in the foundation of the European Milk Bank Association (EMBA – www.europeanmilkbanking.com). 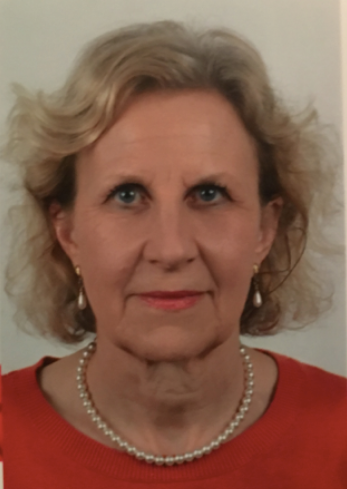 As the Chair / Forum Lead of UKAMB and the President (2012-2015) / Board Member of EMBA she led the organisation of many international conferences and was a key member in the development of internationally recognized guidelines, including the NICE Clinical Guideline 93 (Donor Milk Banks; Service Operation). Since January 2016, Gillian has combined two roles. As an international human milk banking consultant she provides advice and recommendations to aid the establishment of human milk banks globally including in Australia, India, Kenya and Vietnam. Together with Dr Natalie Shenker she is co-founder and director of the Hearts Milk Bank (HMB) providing assured supplies of donor human milk to hospital NNUs throughout the South and East of England and to babies at home. The HMB was recently recognized by NESTA and the Observer newspaper as one of 50 ‘New Radicals’ for 2018, described as changing the UK for the better by developing creative ways of tackling society’s biggest challenges. Gillian lectures widely, writes on human milk banking and actively contributes to projects of global importance related to the strengthening of human milk banking models. She was a member of the ICCBBA Technical Advisory Group that agreed the ISBT128 coding system for human milk to facilitate consistency in coding and recently acted as an expert panel member within the EU’s Horizon2020 programme.